The Giant Mobile Camera now has it’s own website. The Giant Mobile Camera is a mobile Camera Obscura, an enormous pinhole camera, and even a camera for making lifesize or bigger «macro» portraits when it is equipped with a lens. It can be used for demonstrations, workshops, and fuction as a darkroom for wetplate photography. For lens photography I will have to make a back standart to hold photographic paper and/or wet plates. As I operate this camera from the inside, I will not need a bellows. 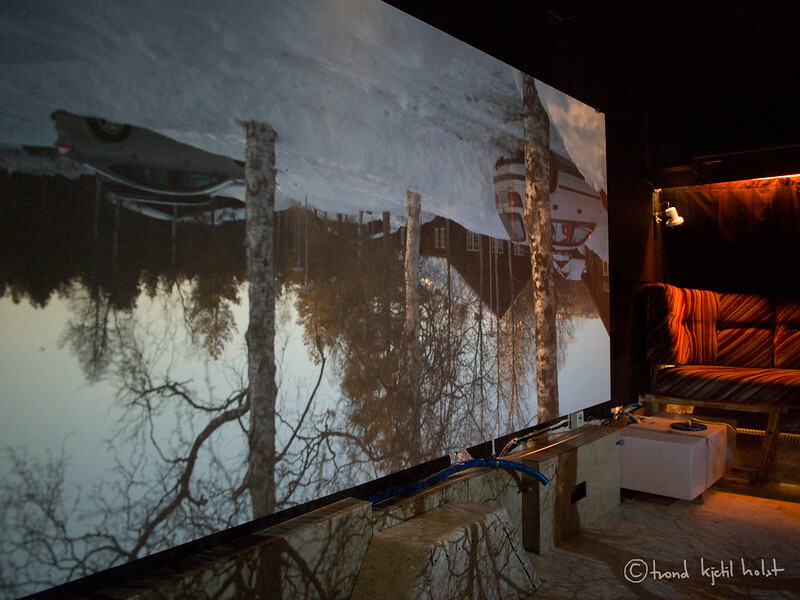 At April 28, 2013 The Giant Mobile Camera will be at exhibition in Tromsø. 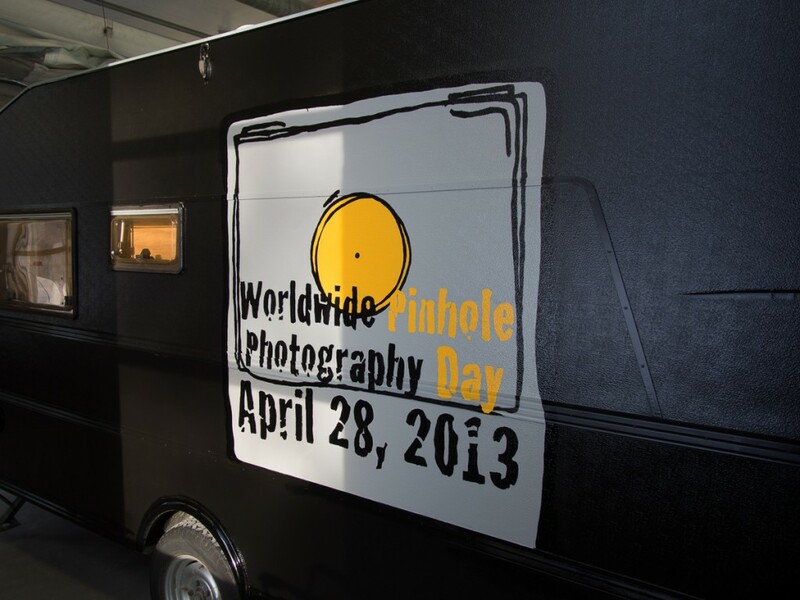 It will be this years celebration of Worldwide Pinhole Photography Day. I hope to do a few pinhole portraits at the same time. There will also be an exhibition of pinhole images from last year’s Worldwide Pinhole Photography Day. 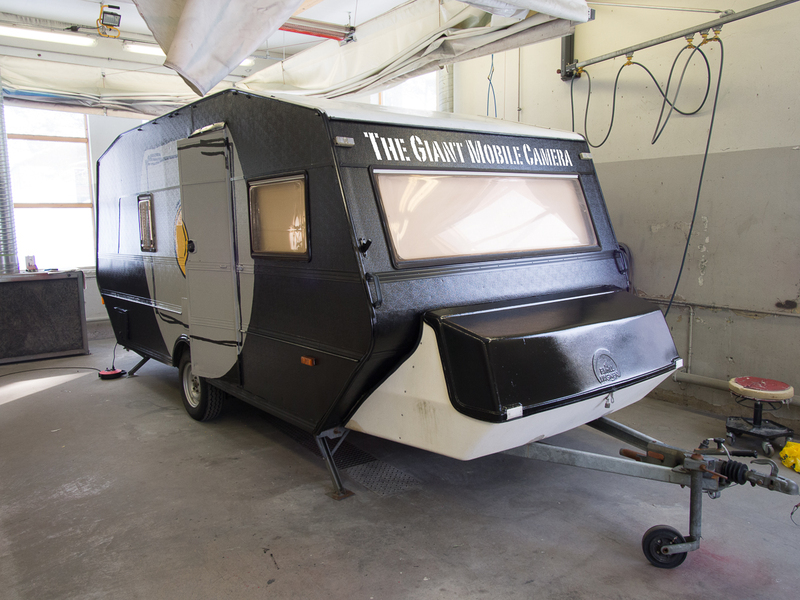 The Giant Mobile Camera project started as an idea: «Why not make an enormous camera out of an old camper?» The first step was to find a suitable camper. Via Facebook I got hold on one, and in the end of October I had to move it to my place. All the inventar is removed, and the inside is painted black. A pinhole is installed, and the first image is projected on the wall. The plan is to tour Norway and make some really big images on direct positive paper. Some day I plan to make wet plate collodium images as well. 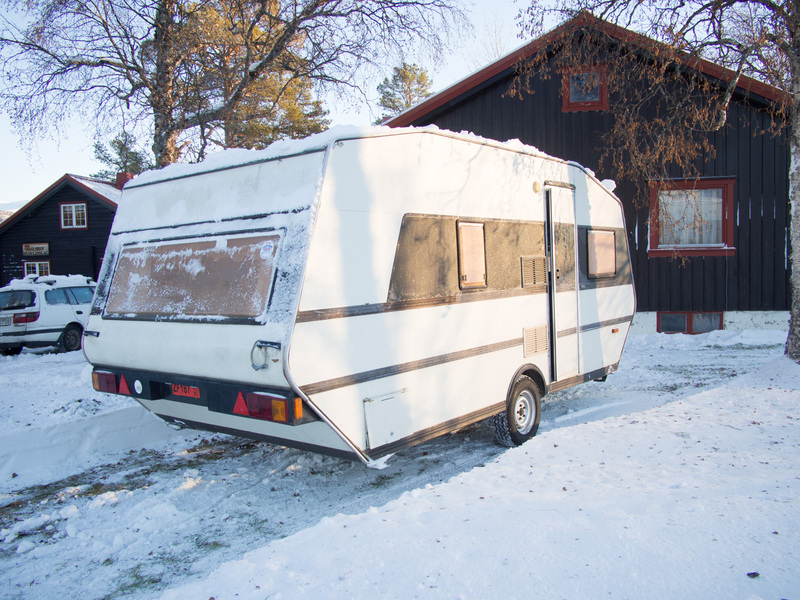 The front of the trailer with «The Giant Mobile Camera» photoshopped in. This is what it will look like when it is finished.